Missing notes from the planning meeting? An important email string between you and client gone without a trace? Compliance auditors asking for those HR forms? 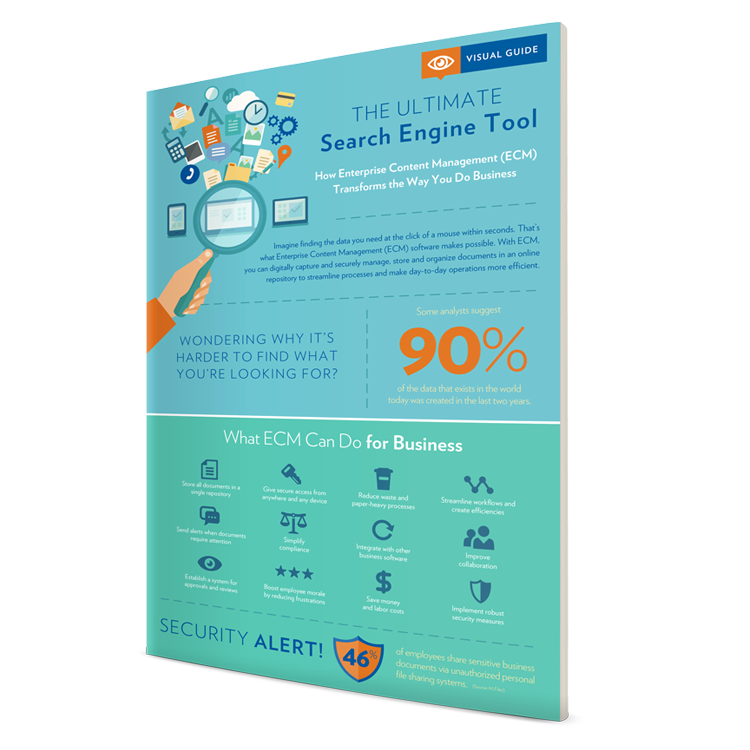 It’s not uncommon for businesses to get lost in a sea of data. More and more keeps piling up in filing cabinets, servers, the Cloud, email and various devices, not to mention that pile of papers on your desk. 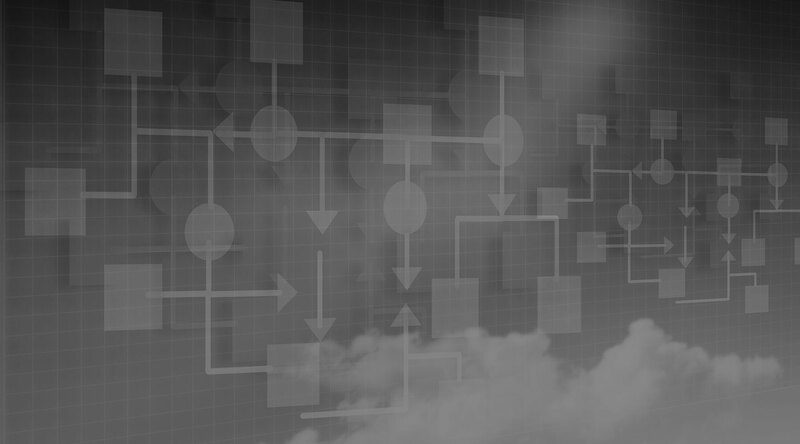 If that sounds familiar, it’s time to consider an Enterprise Content Management (ECM) system. What is it? What can it do? Which industries benefit? How is it implemented? 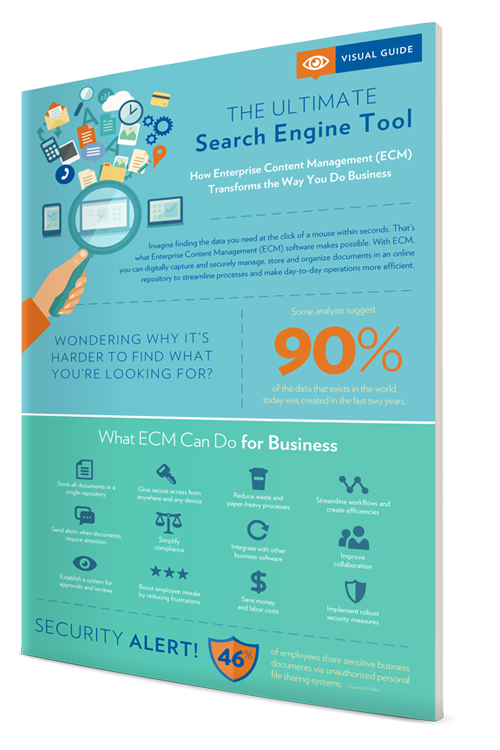 We answer all these questions in our easy-view infographic, The Ultimate Search Engine Tool — How ECM Transforms the Way You Do Business.